The Dairy has always produced the famous buffalo mozzarella D.O.P. Furthermore, the company can take advantage of the Consortium’s brands, which certify compliance with the characteristics of disciplinary associations. 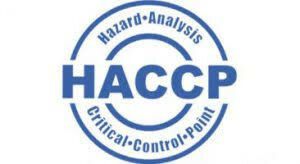 In addition to these characteristics of the product, the company is under HACCP quality certification. This element requires us to comply with the procedures above compliance with organizational schemes relating to production flows and the real customer satisfaction. In addition, the Company, through the Project QRcode Campania, for the years 2015/2016, and in collaboration Zooprophylactic Institute of Southern Italy has received any specific analysis on bulk milk and two of its main products: such as mozzarella and caciocavallo. The Company, always focused on the environment, uses any only renewable energy for the purposes of its total requirements. In this regard it can produce the certificate warrants that: “My business is environmentally friendly. We use 100% Energy from Renewable Sources “.